Business purchases are a great way to boost your fundraising. Businesses buy online more frequently and spend much more than a normal shopper so your cause can really benefit from big donations. Our most successful causes have raised hundreds by signing up supporters who regularly make business purchases. 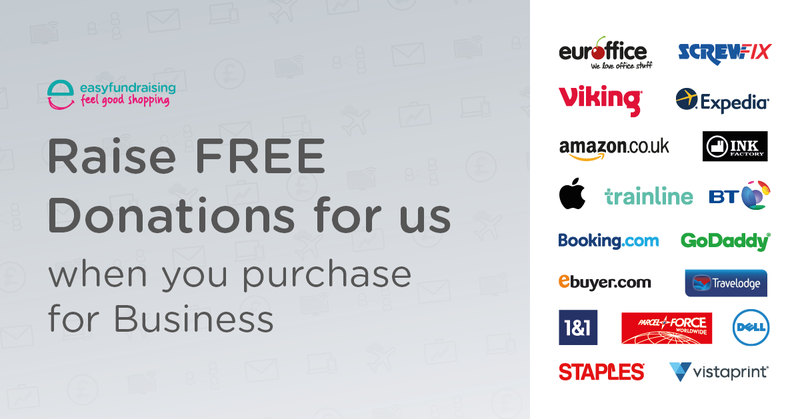 Your supporters can buy all their office supplies, ink & toner, computing equipment and business travel whilst raising a donation for you, with most of the biggest retailers including Viking, Staples, Apple, Dell, Inkfactory, Travelodge, and Booking.com. Top Tip: Ask your supporters if they make business purchases such as office supplies, train tickets, hotel stays or computing and give them examples of how much they could raise with some of the UK’s best business retailers. Share this image on your social media pages to encourage supporters to raise with business purchases.